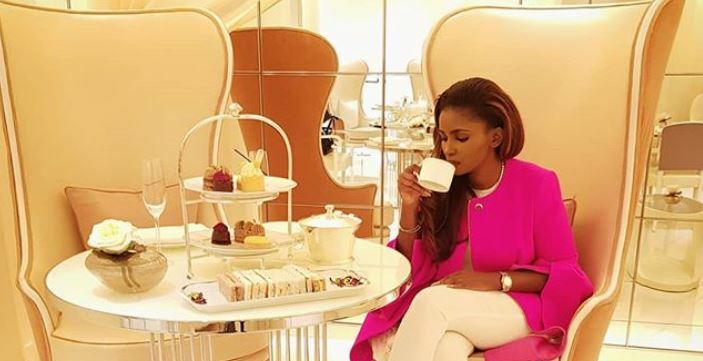 Keroche heiress Anerlisa Muigai is not pulling her punches as she continues to quash recent rumors that she is bisexual. In a new twist to the allegations she poured water on recently, Anerlisa claims that an ex-boyfriend was paid Sh20,000 to air her dirty linen. 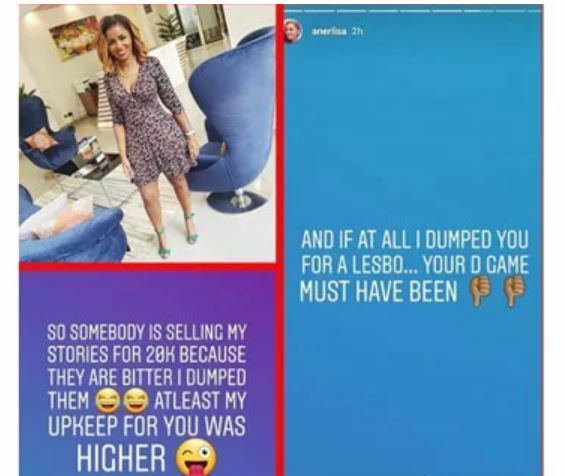 While she did not mention any names, it is largely believed that it is her immediate former lover, Don K.
In a bare-knuckle attack on social media, Anerlisa taunted her ex saying the Sh20K he received was less than the monthly upkeep she used to give him during their relationship. 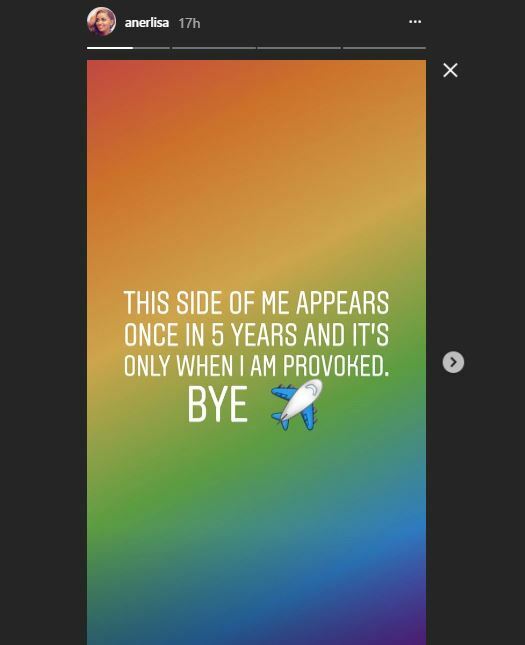 In her Insta stories rant, Anerlisa further hit below the belt with a subtle attack on her ex’s performance in the sack. In another post, Anerlisa appeared to be saving face as she blamed her unnecessary lashing out on being provoked.